Note: the venue for this event has been changed – previously it was to be held at DMG, Amarin Tower. 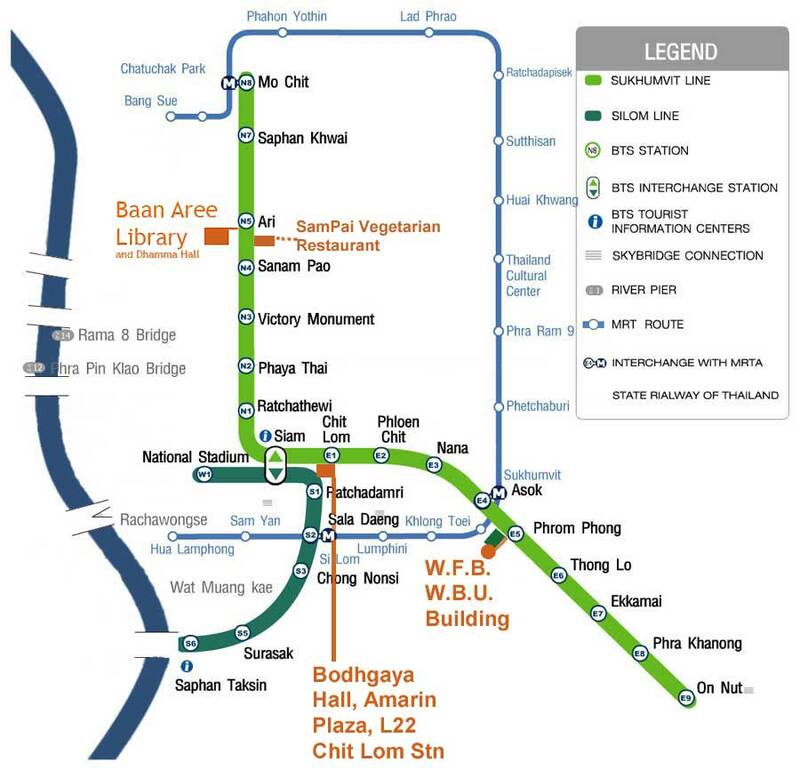 Due to the early closing of Amarin tower (due to the protests) we are switching to the equally convenient and comfortable Baan Aree Library, close to the Ari BTS Station – maps and directions below..
We will all experience pain in greater or lesser ways. Does this have to translate into mental suffering? In Theravada this is often called ‘The Second Arrow’ – the sutta story says a man shot with an arrow would be unwise to take a second arrow and pierce himself with it. This speaks of our human tendency to create extra suffering out of the inevitable pain that will afflict us at different times. Ajahn Pannyavaro will talk on this subject from the pragmatic aspect of the meditator. How can pain and suffering be related to in meditation, and in contemplation of daily life? And how does one learn from pain and trials, and grow from them? Venerable Pannyavaro is an Australian Buddhist monk, ordained for 30 years, who has devoted his life to the meditational aspects of the Buddha’s teachings. During his meditation training he practiced under several meditation masters in Sri Lanka and Burma including Venerable Sayadaw U Janaka of Chanmyay Meditation Centre, Rangoon, who is the foremost disciple of the renowned Burmese meditation master, the late Venerable Mahasi Sayadaw. For the past thirty years, he has studied and practiced meditation in most of the major Theravada Buddhist countries, including long periods of intensive practise of Satipatthana-Vipassana meditation at the Mahasi Sayadaw centres in Burma. 8:15 (ish) finish – we are not including a meditation session, since we already have meditation every Monday! There is no need for advance registration, and the event is free of charge. Donations can be made to Ajahn Pannyavaro’s temple and Buddhanet.net project. The Library is right on the Skytrain line. Go to Ari BTS station and walk back towards the victory monument about 20 meters and you should see the passage way to Baan Aree Library on the right hand side. Baan Aree, Bahn Aree, Bahn Ari, Baan Ari are all the same thing – just various transliterations from the Thai. The Skytrain station is usually written ‘Ari’, while the Library itself usually renders it as ‘Baan Aree’ . I will come. Thank you for all this events you organize for us. It is looking like Chit Lom will be open by then so we are still intending to go ahead with this event. At any rate, you we can enter/exit the building by the skytrain passage for those using Chit Lom BTS.